+ A COMPLETE BONUS GAME! 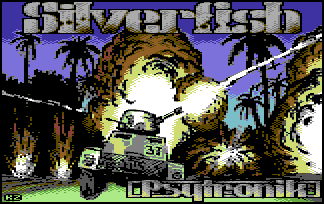 Blasting onto the Commodore 64 comes the Shoot 'Em Up Destruction Set! This superb compilation contains FOUR complete games designed by the Shoot 'Em Up MASTER Alf Yngve! Fight in the air and on the ground in the slick sideways scrolling shooter SILVERFISH, deliver critical medical supplies in your cargo plane in FLIGHT OF THE ALBATROSS, battle in feudal Japan with sword and shuriken in NUKENIN AND THE RONIN and rid your home of an invasion of pesky insects in the splatter 'em up INSECTOPHOBIA! SILVERFISH is a 1 or 2 player sideways scrolling shoot 'em up. Player one controls a VTOL jet and player 2 can jump into the action at any time to provide ground support with an armoured jeep. 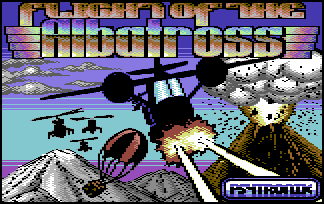 Flight of the Albatross puts you at the controls of a cargo plane on a mission to deliver urgently needed medical supplies. Partway through the mission you must switch control to a support jeep and protect the Albatross plane while it is transported on the back of a train! Nukenin & The Ronin is a game set in medieval Japan. You control the Nukenin who is armed with a deadly katana blade. 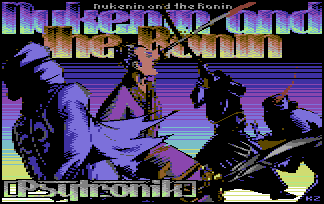 A second player can join in the action at any time and control the Ronin who uses shuriken to dispatch the renegade Ninjas and Samurai! • FOUR complete Commodore 64 games designed by Alf Yngve. • Specially produced front-ends coded by Jason Kelk. • Brand new loading screens produced for this 2008 release. 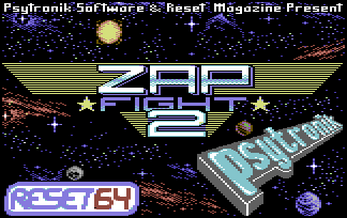 • BONUS game ZAP FIGHT 2 -SPECIAL EDITION. • BONUS music demo by Zaw Productions. Game Designs, Artwork & SFX by Alf Yngve. Game front-ends coded by Jason Kelk. Music by Warren Pilkington, Jason Kelk & Richard Bayliss. Loading screens by Jason 'Kenz' Mackenzie & Jason Kelk. Packaging by Jason 'Kenz' Mackenzie. The Shoot 'Em Up Destruction Set is compilation of games for the Commodore 64. You can play the games in a C64 emulator (we recommend VICE) or you can port the games onto real C64 hardware if you have the resources to do so. 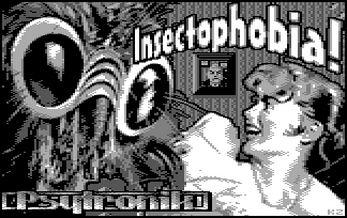 The download file features the .d64 (disk version), .tap (tape versions) and .prg (c64 program files). If you are using the Winvice C64 emulator you may need to turn true drive emulation ON for the disk menu to work (although separate .prg files are also supplied which are very easy to load). Zap Fight 2! Psytronik 4ever!